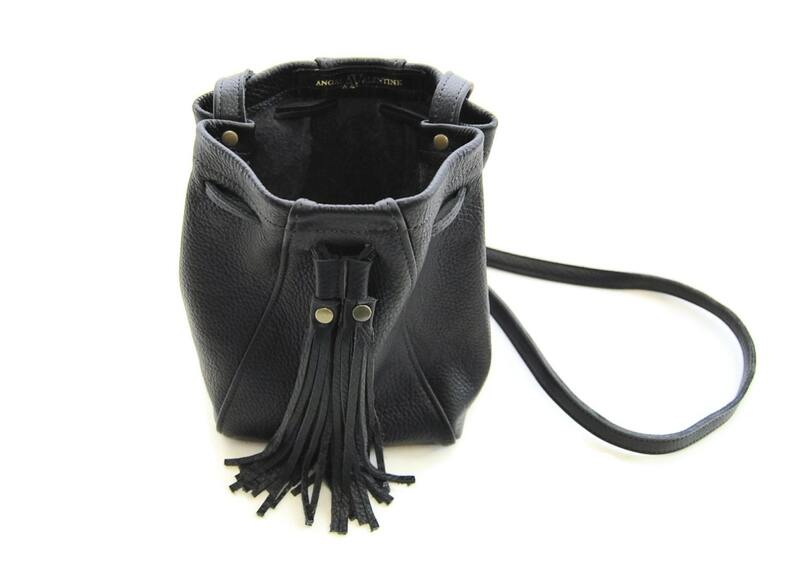 Update your wardrobe with our mini bucket bag. Drawstring closure to access your belongings easily. Tasseled pull ties add a fun trendy detail to this vintage silhouette. 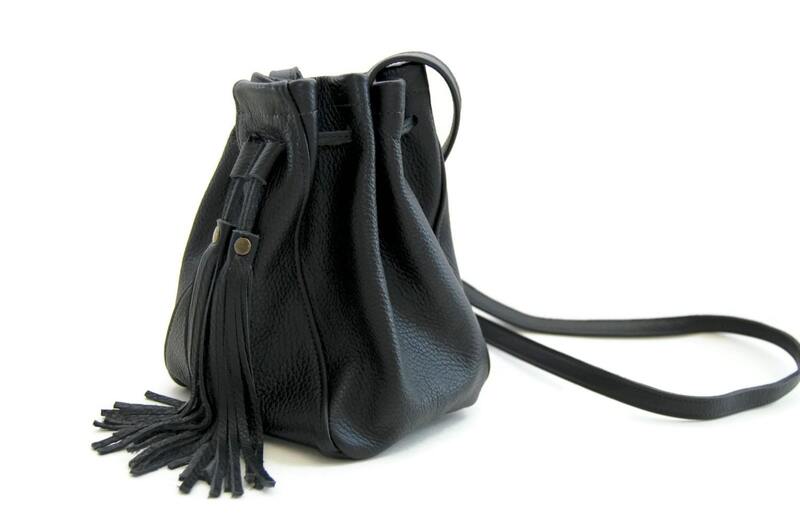 Lightweight yet spacious... the perfect accessory for nights out dancing or simply running errands! This bag is EVEN MORE beautiful than the photos! 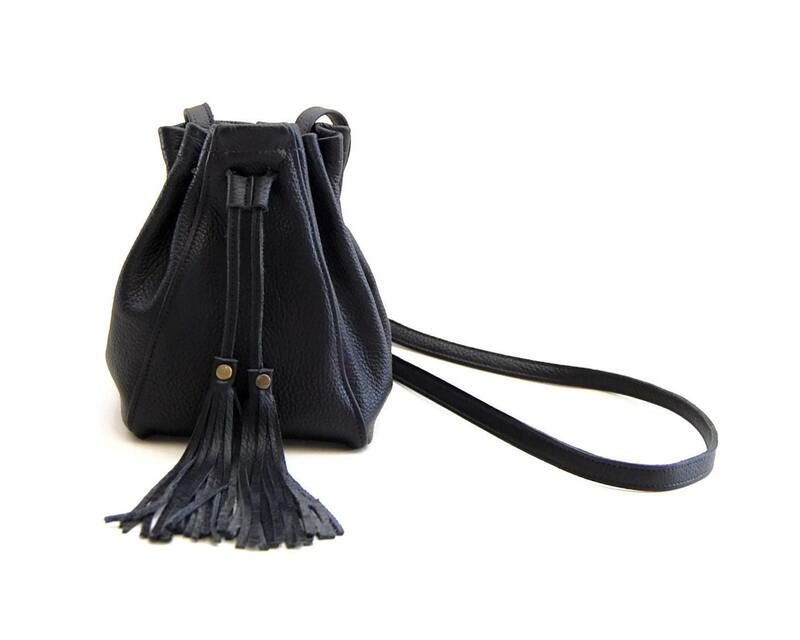 I can't believe how carefully it's made, the lovely leather and stitching, and I love the unique shape and design! Thank you! I will love wearing this bag!